The National President and all members of the Board of NSDFPA wish you a very Happy Easter season. The memorial will commemorate the five million women from every state, creed, race and nationality who fought for seventy-two years to win ratification of the Nineteenth Amendment to the Constitution. 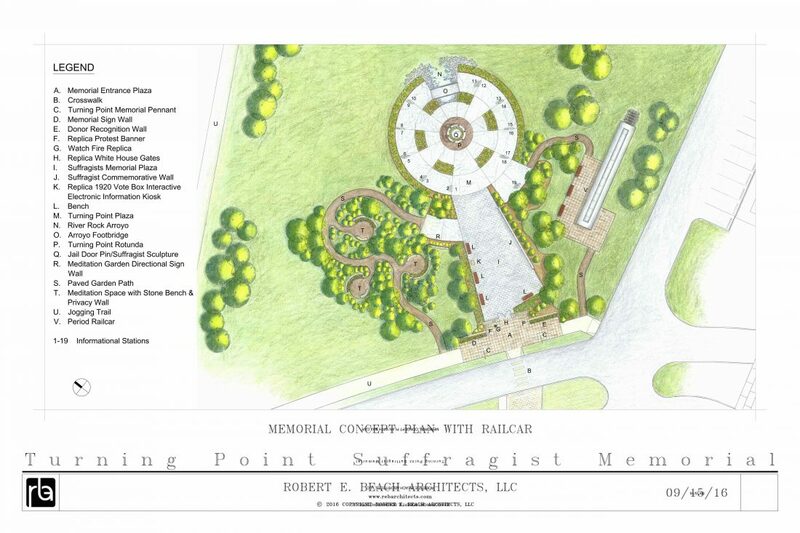 The memorial will be built in Occoquan Regional Park, Fairfax County, Virginia on the site of the historic prison grounds where scores of suffragists, aged 19-73, were imprisoned for picketing the White House in 1917. There will be 19 education stations where visitors can learn about the history of the suffrage movement, as well as a meditation area to reflect upon the memorial's message of empowerment. "Honor her for all that her hands have done, and let her works bring her praise at the city gate." Available soon from the National President and Supplies Chairman. The Tomb of the Unknown Soldier of the American Revolution honors an unidentified soldier whose remains were unearthed just to the North of its current tomb and reburied here in 1826. It also honors all of the other Patriots who helped secure Independence for the United States of America, especially those who now rest in unmarked graves. It reminds us as well of the gratitude that we owe to all those who have served to enable the United States to remain a free and independent nation. Here lies a soldier of the Revolution whose identity is known but to God. His was an idealism that recognized a Supreme Being, that planted religious liberty on our shores, that overthrew despotism, that established a people's government, that wrote a Constitution setting metes and bounds of delegated authority, that fixed a standard of value upon men above gold and lifted high the torch of civil liberty along the pathway of mankind. In ourselves his soul exists as part of ours, his memory's mansion. A leading suffragist and abolitionist, Lucy Stone dedicated her life to battling inequality on all fronts. She was the first Massachusetts woman to earn a college degree and she defied gender norms when she famously wrote marriage vows to reflect her egalitarian beliefs and refused to take her husband's last name. Stone set another precedent in 1858 when she reminded Americans of the "no taxation without representation" principle. Her refusal to pay property taxes was punished by the impoundment and sale of the Stones' household goods. She served as president of the New Jersey Women Suffrage Association and helped organize the New England Association. This website is the property of the National Society of Daughters of Founders and Patriots of America. It may not be copied in any manner without permission of an officer through the website administrator.